When the final school bell rings in the summer break, many parents turn to private businesses for programs to keep their children active through new experiences. Throughout the Rio Grande Valley there are dozens upon dozens of summer camps offering just about any activity that catches a youngster’s fancy. From horseback riding to physical fitness and art to academics, these businesses offer year-round classes in their fields, but come summer they add more short-term, focused camps. Ricks and her staff of instructors give individual attention to campers, and stress safety as a top priority. “That’s the thing we stress the most. 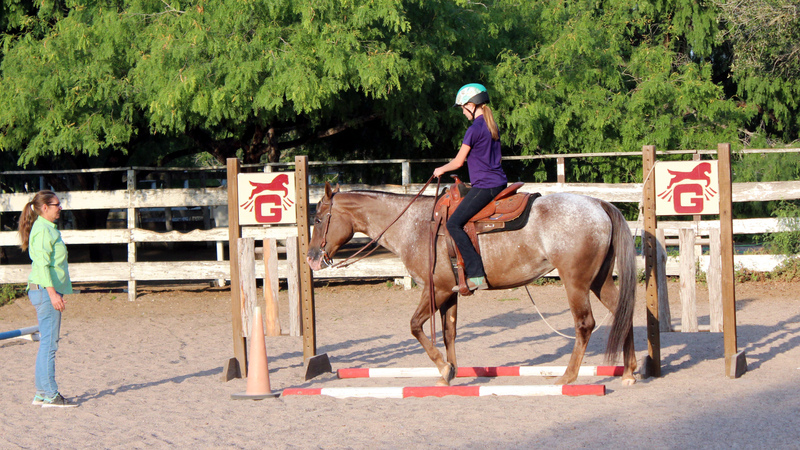 Kids learn how to read a horse’s body language, how to approach a horse properly.” They also learn how to check equipment such as saddles and bridles to ensure a safe riding experience. 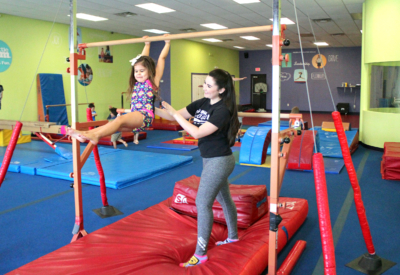 The Skill Thrill camps concentrate more on specific gymnastics skills for children ages 6 through 12. “We start with cartwheels and handstands, those are the basics,” Britton said. “We want to start with those basics and build on that.” Handsprings, vaulting, “no-hands” cartwheels and backflips are on the learning menu for this level of summer camp. Up to 30 kids can sign up for each of the camps. Britton adds summer employees to give campers personal attention, with as many as 15 instructors on staff. And some of those instructors started out taking classes at The Little Gym when they were younger. 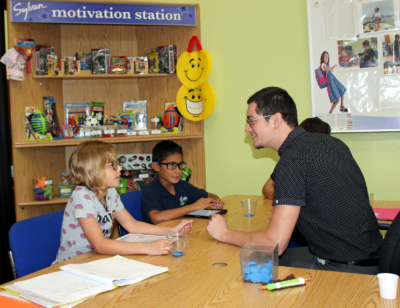 While many summer camps run by businesses lean toward a physical approach, Sylvan Learning Center concentrates on more academic pursuits. 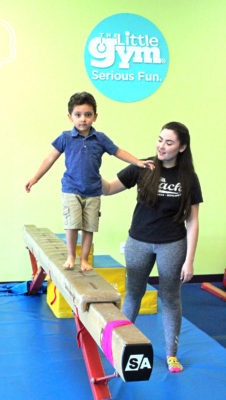 At the McAllen location, lead teacher Karen Chapel said helping kids improve reading, math and other skills is at the heart of the Sylvan summer camps, just as it is throughout the year. “I love being with the kids and seeing their excitement, and it’s been that way ever since I’ve been here, for the last 15 years,” she said. Summer programs run from June through August and feature a wide range of study areas, such as math, reading, handwriting, study skills and ACT/SAT preparation. There’s also a robotics camp, where students build Lego-based models powered by a small electric motor. There’s an alligator that snaps its jaws open and shut, a monkey that plays drums and a lion that roars. “We already have about 16 students enrolled in the robotics camp,” said educational consultant Dennis Rodriguez. “We will have two camps with 30 students and a teacher-to-student ratio of one-to-eight.” He added that the summer programs all strive to fulfill the company’s vision to “instill pride, confidence and commitment to life-long learning to unleash student potential.” Year-round classes are individually tailored to individual learning needs while the summer camps focus on specific goals. Other popular summer camps include the Space Challenge, where youngsters collaborate on activities that sharpen their science, technology and math skills, and a Game Design Course that teaches basic computer programming through a combination of animation and video game design projects. Most of the camps run Monday through Thursday at varying times of day. Summer camp opportunities abound throughout the Valley, from South Padre Island to the McAllen area. A good resource to find out more about summer camps for children is the RGV Summer Camps Guide 2018 on the Rio Grande Valley Moms Blog website, riograndevalley.citymomsblog.com.